2807 SW 30th St Cape Coral, FL. 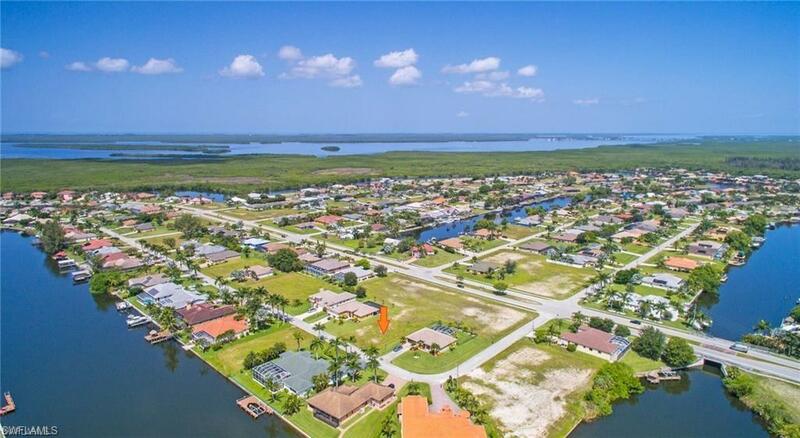 | MLS# 218079901 | Residential Real Estate Cape Coral Florida | Coldwell Banker Cape Coral, FL. Call Penny Lehmann, Tel: 239-462-8171, a Top Producing Coldwell Banker Real Estate Sales Associate, Local Cape Coral Resident since 1985, Sales Experienced, Highly Recommended! Build your dream home here on this beautiful SW Cape 2-lot single family site across from gorgeous high-end gulf access homes off prestigious This is the best value for your money, in price & location compared to any others, plus a huge savings to the buyer for this property, the public water, sewer & irrigation was PAID in full, saving you thousands of dollars compared to properties that have UNPAID assessments! Utilities are available on the street & neighborhood. New Luxury Homes are being built in this neighborhood, home building designs can be provided. You will also view breathtaking sunsets! Enjoy living in a walking waterfront community near the Surfside South Spreader waterway. See walkers walk and jog along side the waterside pathway and preserve. Bicycle along Cape Coral’s interconnected bike routes to Starbucks, one of the amenities to enjoy at the Shops at Surfside! Builders and Buyers, buy now, invest to resell or build now or build later! Secure this property now, lots are selling and this property will not last!